Other Food: daily devos: What do YOU want me to do? I imagine Saul as a sincere persecutor. He was absolutely convinced that he was doing God's will and helping God's cause when he rounded up believers in Jesus and oversaw their imprisonment or death. So it's no wonder he reacted with trembling astonishment when Jesus, as a voice issuing from a blinding light, stopped him and asked, "Saul, Saul, why are you persecuting Me?" His answer— "'Lord, what do You want me to do? '"—tells us that his desire to please God was bigger than his own agenda. Jesus' reply, "'Arise and go into the city and you will be told what you must do'" was only the first order of many that Saul obeyed. 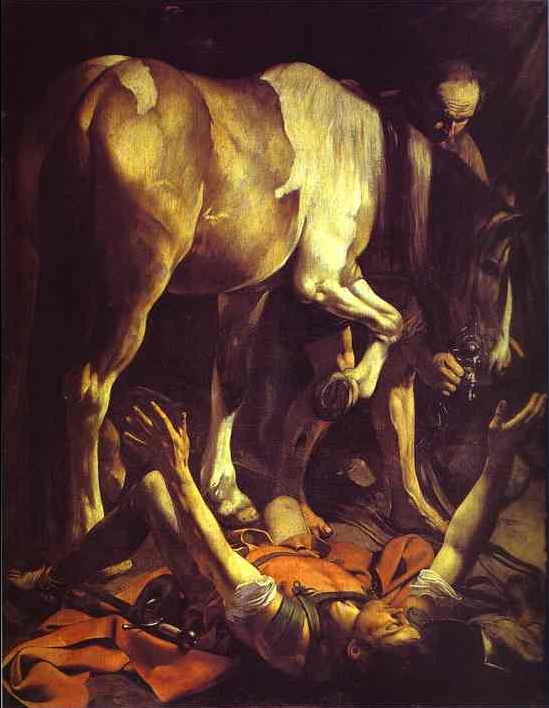 From that day on Saul / Paul was no longer the boss of his life. He was a man under orders and those orders led him to live a life of amazing impact on the church and history. His unquestioning turnaround should cause us to examine our own lives in the same regard. Though Jesus may never come to us in blinding flashes of light to tell us to change direction, He does come in a myriad of scriptures. We know what pleases Him: a life of humility, service, love, mercy, worship—all to be done for His glory. When he alerts us to areas in our lives that don't fit with these things, are we as quick to forsake them as Saul was to leave his mission? "Lord, what wilt thou have me to do? - This indicates a subdued soul, a humbled spirit. Just before, he had sought only to do his own will; now he inquired what was the will of the Saviour. Just before he was acting under a commission from the Sanhedrin; now he renounced their authority, and asked what the Lord Jesus would have him to do. Just before he had been engaged in a career of opposition to the Lord Jesus; now he sought at once to do his will. This indicates the usual change in the mind of the sinner when he is converted. The great controversy between him and God is, whose will shall be followed. The sinner follows his own; the first act of the Christian is to surrender his own will to that of God, and to resolve to do what he requires" - Barnes Notes on the Bible - Acts 9 (emphasis added). Then can we tolerate the silence and the waiting—suspending our need to be busy as we wait for Him to tell us what's next. PRAYER: Dear Jesus, Saul's prayer—What do You want me to do?—is one I need to pray every day. Help me to have no agenda but Yours. Amen. "O God, by the preaching of your apostle Paul you have caused the light of the Gospel to shine throughout the world: Grant, we pray, that we, having his wonderful conversion in remembrance, may show ourselves thankful to you by following his holy teaching; through Jesus Christ our Lord, who lives and reigns with you, in the unity of the Holy Spirit, one god now and forever. Amen." Unless otherwise noted, all Scripture is taken from the New King James Version®. Copyright © 1982 by Thomas Nelson, Inc. Used by permission. All rights reserved.